Real estate agents looking to market themselves and stand out from the crowd — look no further! 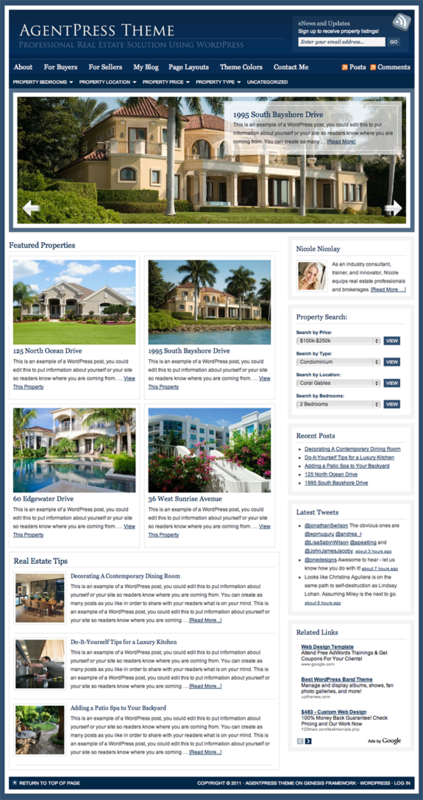 The AgentPress premium WordPress theme is an ideal solution for any agent who desires to take a fresh approach to their listings as it includes multiple page templates that can be used to create a complete real estate website. 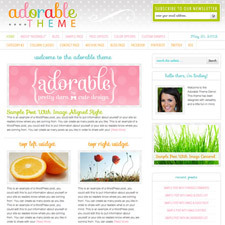 Additionally, all StudioPress themes feature the powerful Genesis Framework. This allows users to separate design and aesthetics from their core code so that search engine rankings aren’t hurt when you change the look of your site!